Courts have cited the Administrative Procedure Act, Pub. L. 79–404 enacted on June 11, 1946, in blocking the Trump administration’s attempts to end policies from the Obama era. These include actions to undermine the Deferred Action for Childhood Arrivals program (New York v. Trump), a delay in a regulation requiring oil and gas companies to reduce methane leaks (Sierra Club v. Zinke), and postponement of a rule that would give low-income families more access to housing in wealthier neighborhoods (Open Communities Alliance v. Carson). In each instance, Trump policy changes have hit the same stumbling block: Courts say the administration has not followed the proper steps in enacting them, citing a 1940s-era law that’s become a key weapon in the legal battle over the president’s agenda. Under that law, the Administrative Procedure Act, federal agencies are required to provide a reasoned justification for their policy decisions and offer the public an opportunity to weigh in when they are creating new regulations, making notable changes to existing rules, or scrapping them altogether. In other words, rescission of the former policies require that the government provide notice and comment, otherwise there would be a violation of Section 553 of the APA. Brooklyn Law School students may want to review Informal Rulemaking, a CALI lesson (password required), which examines the procedural steps that an administrative agency must follow in order to create a valid “informal” rule. This lesson is intended for students who have studied these issues in class and wish to further refine their knowledge. This entry was posted in CALI, New York on March 5, 2018 by Harold O'Grady. A BLS Library Blog post titled VARA and a Whitewashed Graffiti Mecca discussed a federal law suit brought by a group of plaintiff artists, under the Visual Artist Rights Act of 1990, against a defendant real estate developer in the US District Court for the Eastern District of New York. The NY Times now reports Graffiti Artists Awarded $6.7 Million for Destroyed 5Pointz Murals. Judge Frederic Block made the award on Monday to 21 graffiti artists whose works were destroyed in 2013 at the 5Pointz complex in Long Island City, Queens. Eric Baum, a lawyer for the artists, hailed the judgment, calling it “a victory not only for the artists in this case, but for artists all around the country.” Although 5Pointz no longer physically exists, the jury trial determined that the 5Pointz artists were entitled to legal redress for the work’s destruction. Significantly, this lawsuit was the first of its kind; never had a court examined whether the work of an “exterior aerosol artist,” as the trial judge wrote in a November 20, 2013, opinion, “is worthy of any protection under the law.” Congress enacted VARA in 1990 to afford visual artists two so-called “moral rights” under then-existing copyright law: the rights of attribution and integrity. Brooklyn Law School Library’s One Search gives access to Graffiti and the Visual Artists Rights Act by Amy Wang, 11 Washington Journal of Law Technology & Arts 141 (2015) which has in-depth discussion of claims under VARA, examining case law in Cohen v. G&M Realty L.P., 988 F. Supp. 2d 212 (E.D.N.Y. 2013). 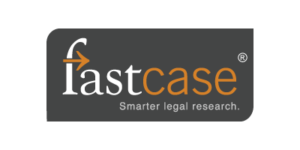 This entry was posted in E-Resource, New York, OneSearch, Real Estate Law on February 13, 2018 by Harold O'Grady. Earlier this year, the NYC Council passed legislation, Introduction 1568-2017, a bill to prohibit City agencies from partnering with the U.S. Department of Homeland Security to enforce federal immigration laws. 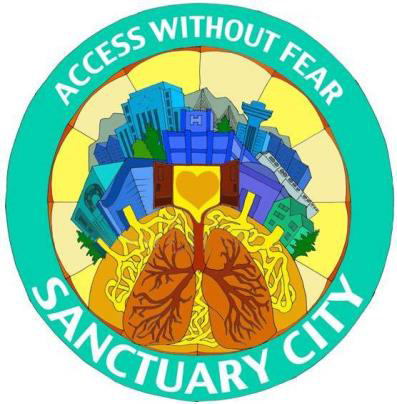 The bill would prohibit the use of City resources, property, and information obtained on behalf of the City in furtherance of federal immigration enforcement. It would also require any requests for assistance by federal immigration enforcement agencies to be documented and later compiled into an anonymized report sent quarterly to the Council. It passed by a vote of 41-4 so now city employees are banned from spending any time on duty or using city property to assist in enforcing immigration laws. The move makes legally binding a policy the city has already followed of bowing out of assisting the feds in finding undocumented immigrants for deportation. Another bill, Introduction 1558-2017 bars the Department of Probation from handing over undocumented immigrants in response to requests from the feds. It expands rules that previously applied to the NYPD and city jails, which say officials cannot honor detainers from the feds unless the person they seek has been convicted of any of 170 serious crimes. “We will not waste city resources to help immigration authorities destroy our families,” said Council Speaker Melissa Mark-Viverito. The defiant step followed President Trump’s threat to strip sanctuary cities of federal funds, saying they were letting potentially dangerous illegal immigrants go free instead of helping the feds. Earlier, the Justice Department gave New York and three other cities a “last chance” warning that the feds believe they are violating laws requiring cooperation, saying it would nix a $4.3 million grant without proof of compliance. The city has only reinforced its policy. “We’re taking a serious stance and saying that New York is a sanctuary city. We are not going to held federal authorities find immigrants in this city that are no threat to the resident of New York City,” said Councilman Rafael Espinal (D-Brooklyn), one of the sponsors. This entry was posted in Executive Branch, New York on November 21, 2017 by Harold O'Grady. After years of efforts to repeal New York City’s outdated Cabaret Law, the City Council is on the verge of repeal. The New York Times reports today that After 91 Years, New York Will Let Its People Boogie. The “no dancing” law is set to be struck down with a new bill tomorrow according to a report. Councilman Rafael Espinal told the newspaper that he has the 26 votes needed to pass a repeal through City Council, as well as Mayor Bill de Blasio’s approval. In 1926, while liquor was bootlegged and Jazz was shaking things up in Harlem, New York City instituted the Cabaret Law that required establishments serving food or drink to obtain a separate license before permitting any dancing or live music on their premises. This law successfully sought to police and restrict the interracial mixing happening in dance clubs uptown. Almost 100 years later, though times and racial attitudes have changed, the Cabaret Law is not only still in effect and enforced, but contemporary zoning regulations effectively make dancing illegal in large parts of the city. Drafted by Brooklyn Council Member Rafael Espinal (D-37), first elected to the New York State Assembly at the age of 26 and currently in his first term as a council member, the bill will address a pernicious, racially motivated law that has followed “fringe” musical scenes in the city for nearly a century. 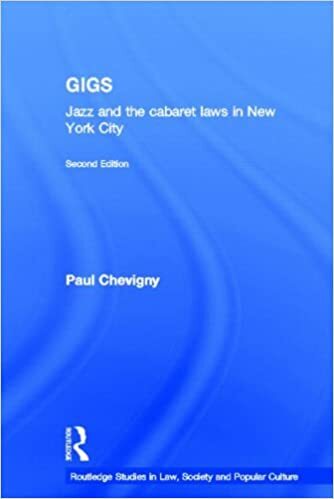 The Brooklyn Law School Library has in its collection Gigs: Jazz and the Cabaret Laws in New York City (Call No. PN2277.N5 C51 2005) by Paul Chevigny, an attorney and former civil rights activist, who recounts his efforts to repeal New York’s Cabaret Law. The book is also available as an e-book. Gigs provides a fascinating account of a unique victory for musicians against repressive entertainment licensing laws. It provides a much-needed study of the social, political, cultural and legal conditions surrounding a change in law and public attitudes toward vernacular music in New York City. This entry was posted in Book Review, New York, SARA Catalog on October 30, 2017 by Harold O'Grady. With labor union membership under 12% of the US workforce from a high of 33.2% in 1955, most Americans still appreciate a day off to barbecue, a marked contrast from storming the barricades as occurred during 19th century Labor Days. In the US, Labor Day takes place on the first Monday in September by law. See 5 U.S. Code § 6103. Outside the US, Labor Day falls on May 1. The two separate Labor Days cause some confusion. Labor Day and May Day have in common the celebration of laborers from an era when labor was more grueling than what we think of today. 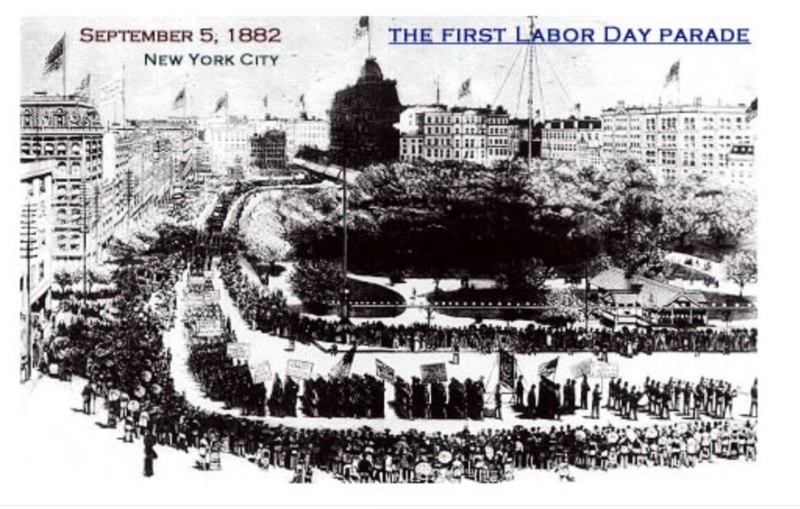 The first Labor Day occurred in NYC’s Union Square on September 5, 1882, when 10,000 union workers marched in a parade honoring American workers, who at the time had none of the labor laws we now take for granted. Labor Day sentiment spread across America when, in 1887 Oregon, followed by a number of other states, adopted Labor Day as a holiday. The adoption of the holiday did not remedy the labor situation in Industrial Revolution-era America. In 1894 the railroad system was nearly halted by a strike against the Pullman Palace Car Company, a company that mistreated its workers. In reaction to the strike, President Grover Cleveland mobilized federal troops which escalated the violence resulting in several deaths. President Cleveland, in an effort to appease an angry public, passed a bill making Labor Day a national holiday. Labor Day continues as a reminder of the struggle of the labor workforce. Outside the US, laborers are honored on May Day also known as International Workers’ Day. This holiday was instituted worldwide in response to the Haymarket Riot of 1886, a peaceful protest gone awry with another violent altercation against the Chicago workforce by the police. Although the events leading to the creation of May Day took place in America, the US never adopted it as a legal holiday. It was embraced in the Soviet-bloc. With the fall of communism, the holiday is now removed from its violent origins, much like Labor Day in America, now little remembered for the labor required for this holiday. These glimpses of the tensions in earlier Labor Day celebrations show major differences between the late 19th century Gilded Age and current times. Today, we see disparities between rich and poor nearing historic proportions, yet Americans do not debate the morality of capitalism that consumed those who lived through industrialization’s peak decades. The Gilded Age is a world removed from our own and yet one that on Labor Day is worth revisiting. Users of the Brooklyn Law school Library can get a sense of that period by reviewing the book in the BLS collection New York Labor Heritage: a Selected Bibliography of New York City Labor History by Robert Wechsler, Call No. Z7164.L1 W38. This entry was posted in New York, SARA Catalog, Uncategorized on September 4, 2016 by Harold O'Grady. When the law was enacted, there were already 35 national monuments and parks including Yosemite National Park established in 1864 and Yellowstone National Park established in 1872. Today, the National Park Service has 140 national monuments and parks, 128 historical parks or sites, 25 battlefields or military sites, 19 preserves, 18 recreation areas, 10 seashores, four parkways, four lakeshores, and two reserves. The biggest park is Wrangell-St. Elias National Park and Preserve in Alaska established in 1980 containing 13.2 million acres. It is the same size as Yosemite, Yellowstone and the country of Switzerland combined. The smallest site is the Thaddeus Kosciuszko National Memorial in Philadelphia established in 1972 sitting on 0.02 acres. The highest point in the system is Denali (or Mount McKinley) at 20,320 feet. The lowest accessible point is Death Valley National Park, at 282 feet below sea level. The newest National Monument is Katahdin Woods and Waters in Maine which President Barack Obama designated this week for the 100th anniversary of the National Park Service. See NPR web page In Maine, Land From Burt’s Bees Co-Founder Is Declared A National Monument discussing the controversial designation of the woods as protected territory especially from locals concerned about federal oversight of lands that used to be central to the regional economy. With an annual budget of $2.6 billion, the National Park Service has about 20,000 direct employees and supports 240,000 local jobs generating $27 billion for the U.S. economy. More than 307 million people visited Park Service locations in 2015 compared to 1920 when NPS sites were visited by 1 million people. Brooklyn does not have a national park but this week Brooklyn Bridge Park hosted a National Park Service celebrating the100th anniversary of its founding. Nearby sites such as the Statue of Liberty and Ellis Island are both part of the NPS. Other NPS locations in New York City include the African Burial Ground National Monument, the Lower East Side Tenement Museum, the Theodore Roosevelt Birthplace National Historic Site and Castle Clinton National Monument. Brooklyn Law School Library users can explore OneSearch to find a large set of articles about the history of the National Park Service such as the National Parks: America’s BEST Idea? from Parks & Recreation Aug 2016, Vol. 51 Issue 8, page 44. This entry was posted in E-Resource, Legal History, New York, OneSearch, Uncategorized on August 26, 2016 by Harold O'Grady. Independence Day 2016 marks the 240th anniversary of the Second Continental Congress’ adoption of the Declaration of Independence on July 4, 1776. This milestone in US history is observed by Americans, young and old, as a national holiday on the same calendar date each year. If July 4 is a Saturday, it is observed on Friday, July 3. If July 4 is a Sunday, it is observed on Monday, July 5. This year government offices and schools are closed on Monday, July 4. See 5 U.S. Code § 6103. The library at Brooklyn Law School has reduced hours on Monday and will be open from 9am to 5pm so law students can study for the bar exam scheduled at the end of July. In Constitutional Law courses law students at BLS and throughout the country learn that the decision by Chief Justice John Marshall in Marbury v. Madison, 5 U.S. 137 (1803) is arguably the most important case in American law. It was the first U.S. Supreme Court case to apply the principle of “judicial review”, the power of federal courts to void acts of Congress in conflict with the Constitution. However, a newly acquired title in the BLS Library collection, Rutgers v. Waddington: Alexander Hamilton, the End of the War for Independence, and the Origins of Judicial Review by historian Peter Charles Hoffer (Call No. KF228.R877 H64 2016) makes clear that Marbury was not the first court in the new American Republic that considered the argument that a legislative enactment in conflict with a state or federal constitutional provision is void. One of the first decisions to address the question was Rutgers v. Waddington, decided in the Mayor’s Court in the City of New York on August 7, 1786. The case is important to American constitutional law because defendants’ primary attorney who argued for an expansive notion of judicial power was Alexander Hamilton, who advocated for the principal of judicial review in Federalist Paper No. 78. This entry was posted in Bar exam study, BLS Students, Book Review, Judiciary, Legal History, Library Hours, New York, New York State Courts, SARA Catalog on June 30, 2016 by Harold O'Grady. BrooklynWorks is the online repository of Brooklyn Law School, providing open access to scholarship produced by the law school and to other collections of law school materials. The repository is a service of the Brooklyn Law School Library. Current collections focus on faculty scholarship, the law school’s journals and library special collections. Within the law Journals collection, you can browse or search issues of the Brooklyn Law Review, the Brooklyn Journal of International Law, the Journal of Law & Policy, and the Brooklyn Journal of Corporate, Financial, & Commercial Law. Within the faculty scholarship collection, you can browse or search Brooklyn Law School’s faculty publications going back to 2010. Within the Special Collections, you can browse the papers of David Trager from the 1986-1989 New York City Charter Revision Commissions. Included in this historic collection are various drafts of the New York City Charter, meeting minutes and letters to the members of the commission. The digitized documents were selected from materials he donated to the Brooklyn Law School Archives. To access the entire collection, you can contact the reference desk (refdesk@brooklaw.edu) and make an appointment to visit the archives. This entry was posted in Brooklyn Law School, Legal History, New York, Uncategorized on June 22, 2016 by Kathy Darvil.